Kaitlyn Merrell, pre pharmacy student, enjoys looking at Gina Boerner’s mosaic art in the Arts and Humanities Department’s display case on April 4. 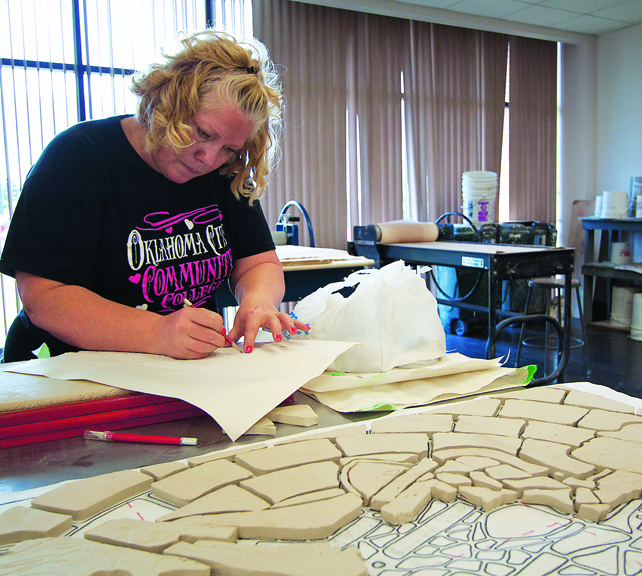 Artist Gina Boerner said she had no idea when she enrolled in her first mosaics class at OCCC that she would fall in love with it. “I thought, well, it looks interesting, and it’s another art class…and it’s just going to be an addition to my degree,” said Boerner, who is on track to graduate in May 2013. Today she thinks of herself as a mosaic artist. Her work is being exhibited in a display case in the Arts and Humanities building until the first week of May. The body of artwork is an accumulation of what she has created in Mosaics I and Advanced Mosaics while a visual arts major at OCCC. The collection includes a relaxing frog sculpture, a square picture depicting two chickens, a jug, a mirror, and a few abstract pieces. There is also a biography detailing Boerner’s history with the arts. Mosaic is a type of three-dimensional art where tiles made of glass, rock, shell or glass are positioned together according to color to make patterns; the art can be realistic or abstract. Boerner said she believes mosaic art has helped her to branch out into the abstract side of art. Art student, Gina Boerner utilizes lab time to work on her newest mosaic project of a woman’s figure on April 4. Some of Boerner’s recent work is currently being exhibited in the the Arts and Humanities Center display case. Professor Mary Ann Moore is Boerner’s mosaic instructor, who said she loves Boerner’s work. 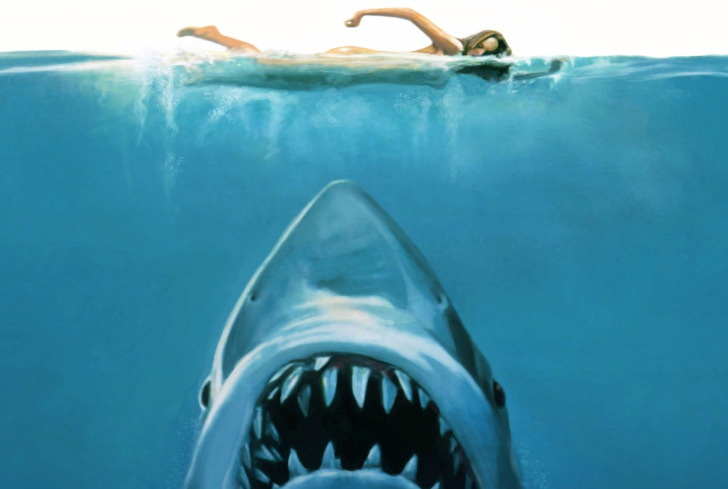 Boerner said she likes to stay busy by working on two or three pieces at a time. While one project is drying, she is drawing or planning another project. The process is never ending as her mind is always turning with new ideas. Boerner explained that she built a great foundation for her art when she attended Putnam City High School. “They really support visual arts and performing arts, and they have been that way for a long time,” Boerner said. In addition to her class projects on display, Boerner did her first custom work in 2010 for Putnam City Christian Church, which was an acrylic mural of a doe and her two fawns next to an oak tree. It was painted directly onto the wall in the new Child Developmental Center. Boerner started teaching art privately from home last year, and has an aspiration to attend Oklahoma City University and get a bachelor’s degree in studio arts.